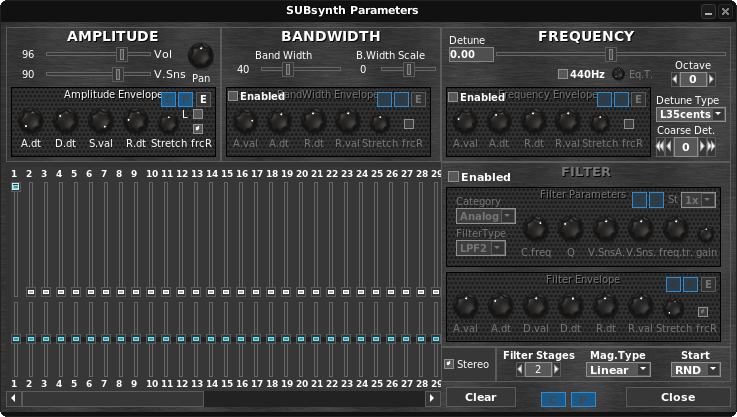 ZynAddSubFX is a realtime software synthesizer created by Paul Octavian Nasca in 2002. It is a realtime, polyphonic/monophonic, multitimbral, microtonal synthesizer capable of rescaling to up to 128 microtones per octave, as well as key mapping. Although it incorporates the traditional additive and subtractive methods of sound synthesis, as well as a PAD synth capability, it really is in a category all its own, because of how it expands, enriches and compresses harmonic spectrums, thereby obtaining extraordinarily rich sound timbres. It can be run standalone and also as an LV2 plugin. 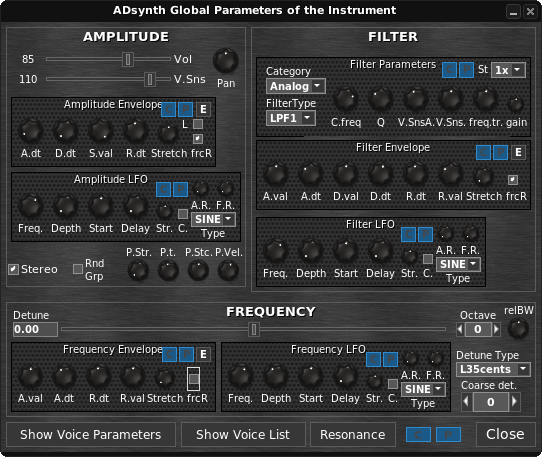 The "ADDsynth" section (which I oddly prefer to think of as the subtractive synthesis section) functions by adding voices together, each one provided with "traditional" features such as filters and LFOs, but also including morphing and modulation capability. Each voice has a waveform generator capable of reproducing up to 128 wave types. These waves can be reshaped, and Fourier synthesis is also provided. The "SUBsynth" section (which I prefer to think of as the additive synthesis section) includes 64 harmonics with a variety of configurations, and a filter section included for further sonic control. 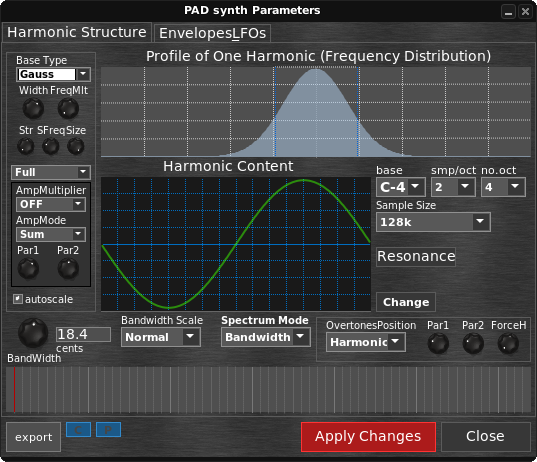 The "PADsynth" section produces pad sounds which can be exported. All three sections above include envelope stages for amp, filter and pitch can be switched to "freemode," where multiple steps and values can be set (reminiscent of the 8-stage Casio CZ series synths of the 80s). 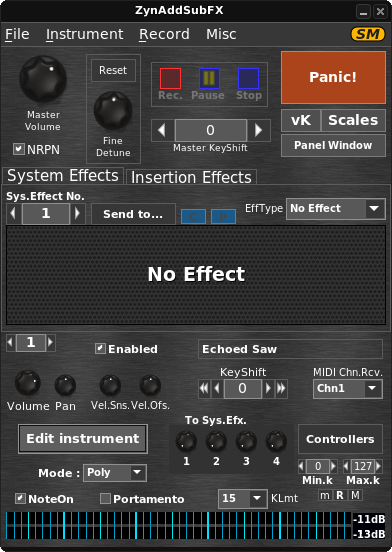 Several effects are included in ZynAddSubFX: Reverb, Echo, Chorus/Flange, Phaser, AlienWah, Distortion, EQ and Dynamic Filter. These can be applied to parts and globally. Several types of filters are provided in all three synthesis sections, including formant and state variable filters. Below are various soundbanks/patches for ZynAddSubFX.